As if last month’s mating with the Vomba Female Leopard wasn’t enough; Tyson was discovered mating with the Nyelethi Female this past week at Londolozi. The pair were sighted and filmed on the northern bank of the Sand River, just west of Finfoot crossing. Tyson’s typically relaxed demeanor meant that both cats were incredibly at ease, mating multiple times throughout the morning. Later that afternoon, guests and I were watching the spectacle continue when our guide, Richie Ferrier, began to talk about how a dominant male such as Tyson naturally promotes an increase in leopard populations. Our vehicle sat in the heart of the Vomba female’s territory, running along the Sand River, yet just west of us, was the Tutlwa female and her very young cub (also spotted that morning). Somewhere just to the north of us were the Nyelethi female’s three sub-adult offspring. 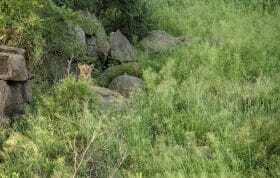 This meant a total of 8 leopards in an area of about 8 square kilometers. That is one leopard per square kilometer in Marthly (Northern Londolozi)! 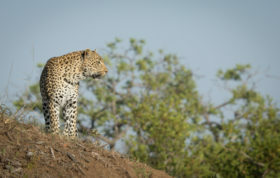 Rich explained that owing to Tyson’s dominance, no other mature male leopards have recently setup territories in Marthly. 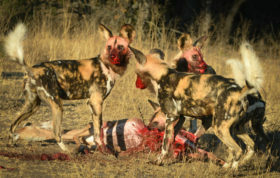 This has resulted in the settled females falling pregnant, new cubs being born and growing cubs surviving to adulthood as the risk of infanticide decreases. None of the rangers or trackers are certain of where Tyson originated from or what his current age is. 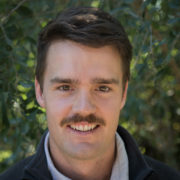 What they do know is that he has stamped his authority on the supremely beautiful north of Londolozi, breathing life and security into an eco-system of leopards that is only going to continue to flourish under him….and if he continues to mate with every available female, well we won’t complain about that either…. I have read some sources on the internet and I think that the age of this beautiful cat is estimated to be 8-9 years. This leopard, if I’m not wrong and I’m not mistaken with the same name, was spotted about three or more years ago the first time at Djuma Game Reserve, and, if not exaggerated by the rangers probably around 75 kilos at minimum (165 pounds) in weight. He fought a few years ago with a leopard named Mafufayne, I believe, winning with a resolute and peremptory style (that is, Tyson is in size and method of combat). I hope I was right and correct me if I’m wrong in estimating the age, size and characteristics of this beautiful cat historiography. I think that would be great if the National Geographic did a documentary on Pan Cam, Tyson, wombats and Nyeleti. Alessio I am not sure if he is that old, though I myself could be wrong. He would have come in from the same region you mentioned above. I would be very interested in seeing some videos of him fighting, etc. If you have any, please share the links in the comments section below. He is one of the leopard who we are trying to source information on for our Leopards of Londolozi. If you know of anyone else with info, please ask them to share in the comments below. Ah Judy, I hope you are already planning your 2011 trip! The leopards will be waiting…. But unfortunately I have no certainty that this is Tyson! I am very very doubtful!! Wildearth reports a fight with another leopard , as well as the fact that Tyson has a size above average and that his style is similar to Mike Tyson in the fight. As for the size of minimum 75 kilograms, I do not know if it was weighed or is it a mere estimate made by the rangers in a video on youtube. If he had actually as great as it appears from these sources that would be a terrible example in size, the largest if not the largest in the Sabi Sands? Of course I do not have enough knowledge to say.